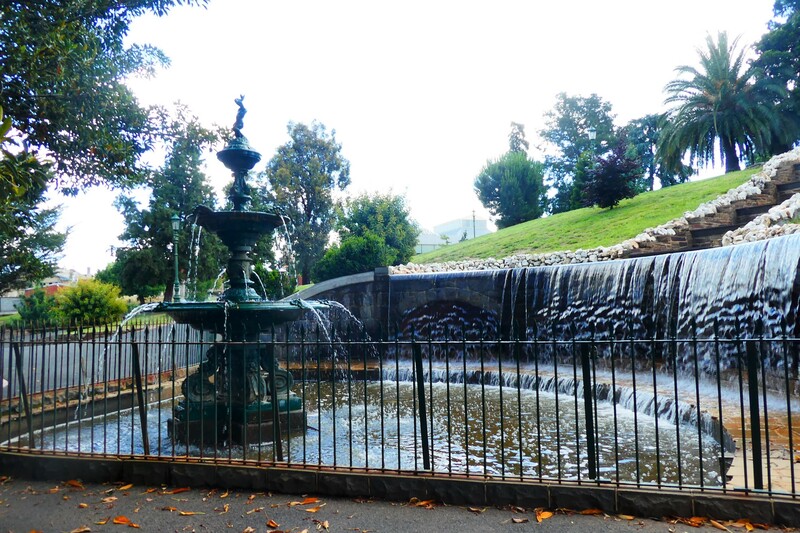 The Alexandra Fountain, named after Queen Victoria’s daughter-in-law, is the introduction to the city centre. 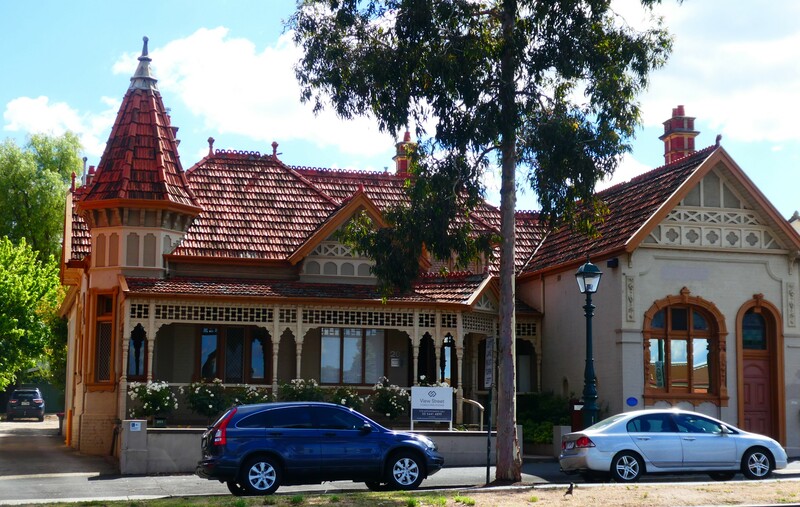 A fair amount of income from the gold mines was pumped back into the city and so Bendigo now has one of the finest collections of Victorian buildings of any inland city in Australia. 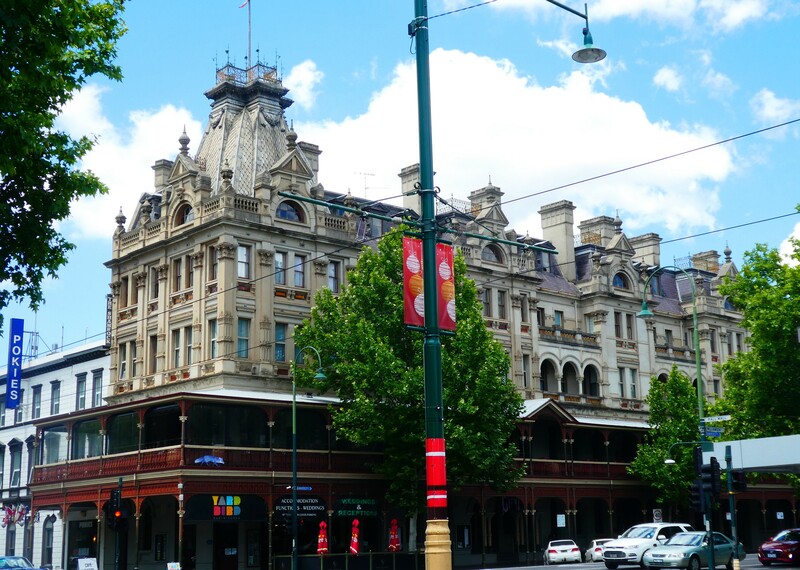 The opulent Shamrock Hotel has been the queen of Bendigo’s social scene since 1897. I seriously want this house. No shortage of old pubs. 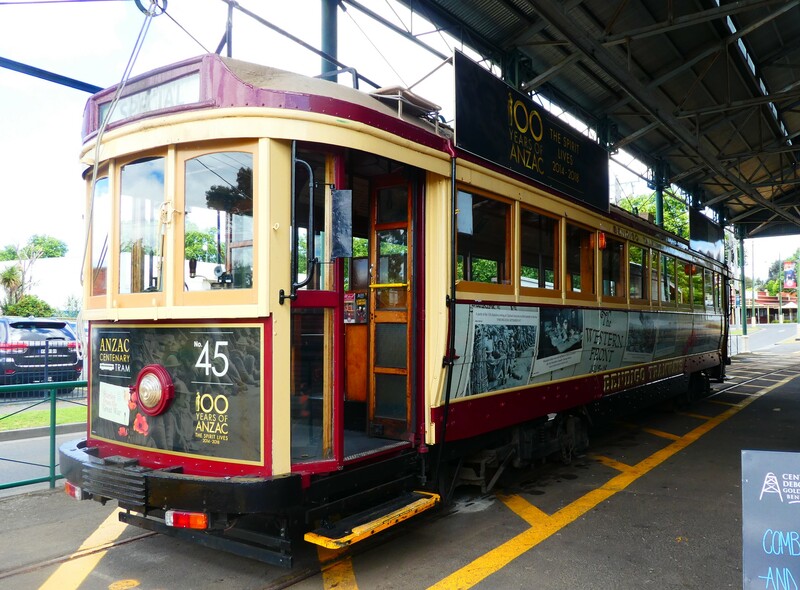 There are vintage trams that do a loop of the city, while giving you the history of the city and the goldfields. $17 gets you a day of hopping on and off at the various attractions. 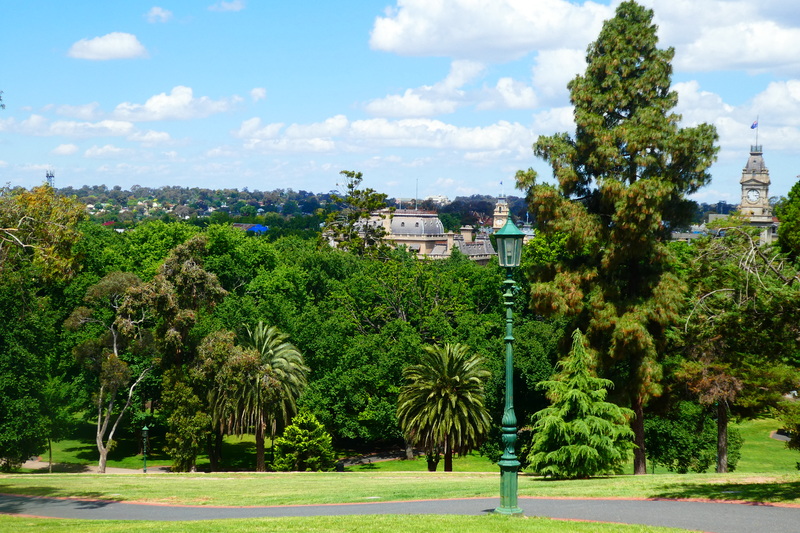 Rosalind Park covers a large area along the east side of High Street and continues up Camp Hill, giving a good lookout over the city centre. 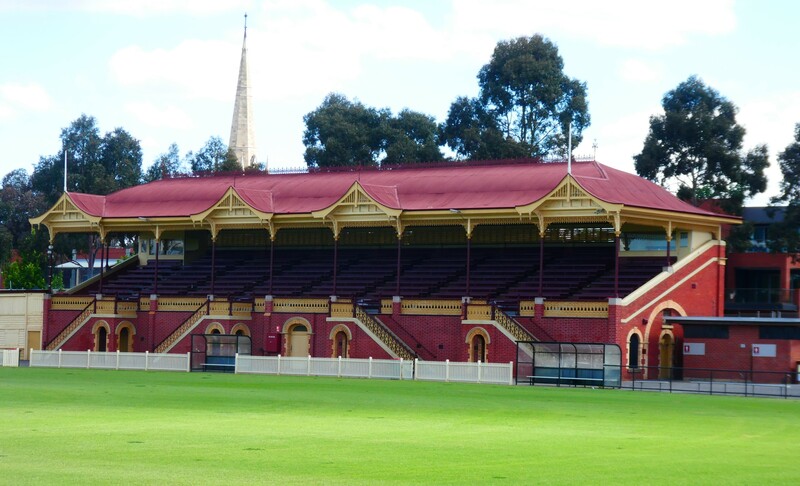 It encompasses the Camp Hill Primary School, Bendigo Senior Secondary College, the Queen Elizabeth Oval and various other sporting venues. 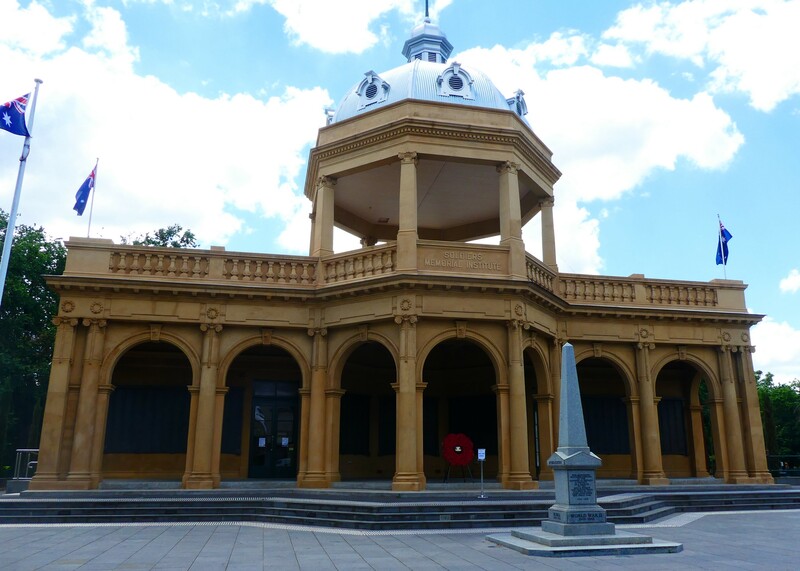 Also part of the park is the new Ulumbarra Theatre, housed in the old Sandhurst Gaol. There were no shows on so I missed out on getting a look inside. Definitely something to go back for. 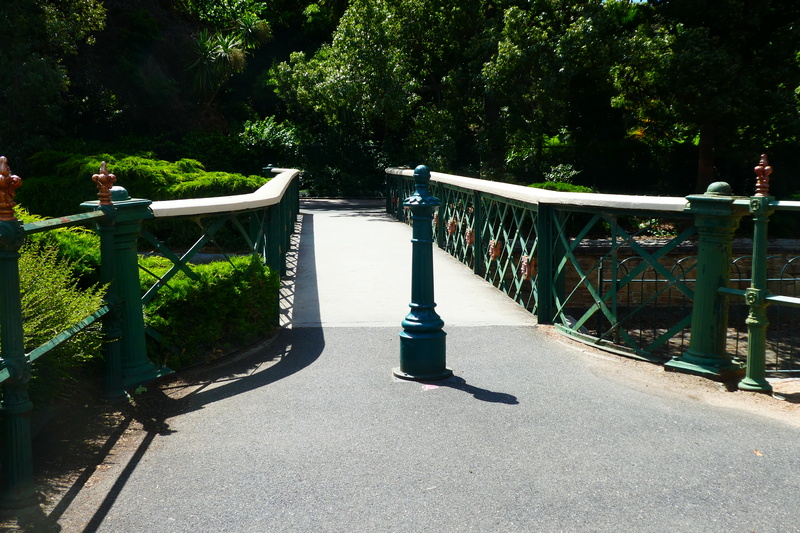 I spent a lot of time in the park, as it’s a very pleasant way of getting from one spot to another. 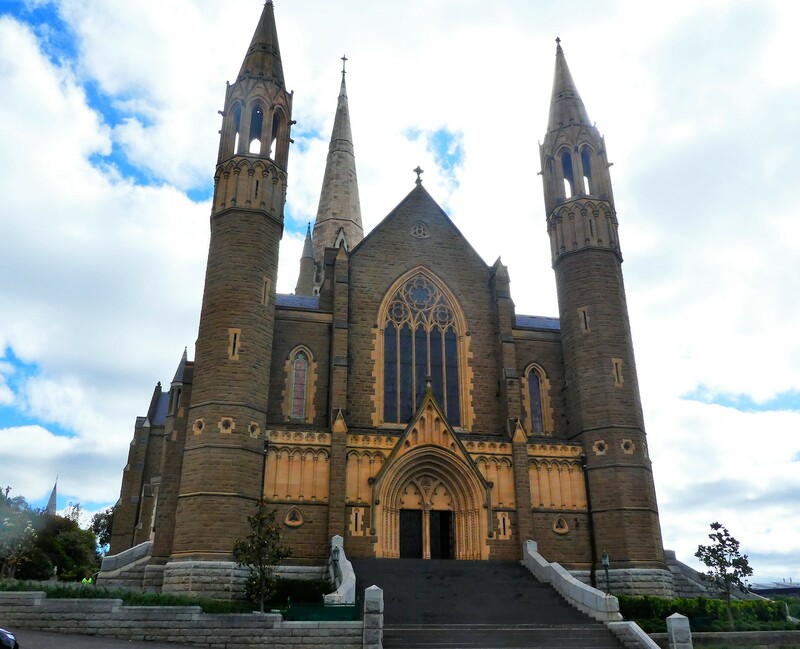 Sacred Heart Catholic Cathedral is the largest in the state outside of Melbourne. 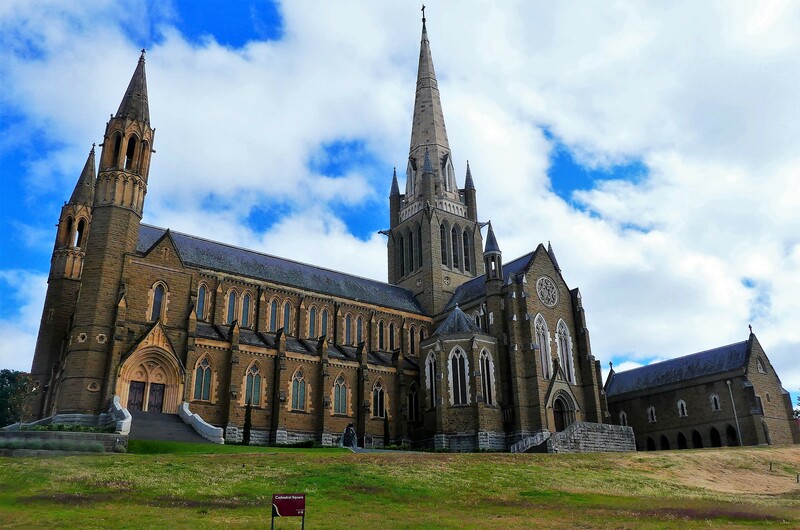 Set on a hill, its spire dominates Bendigo’s skyline. 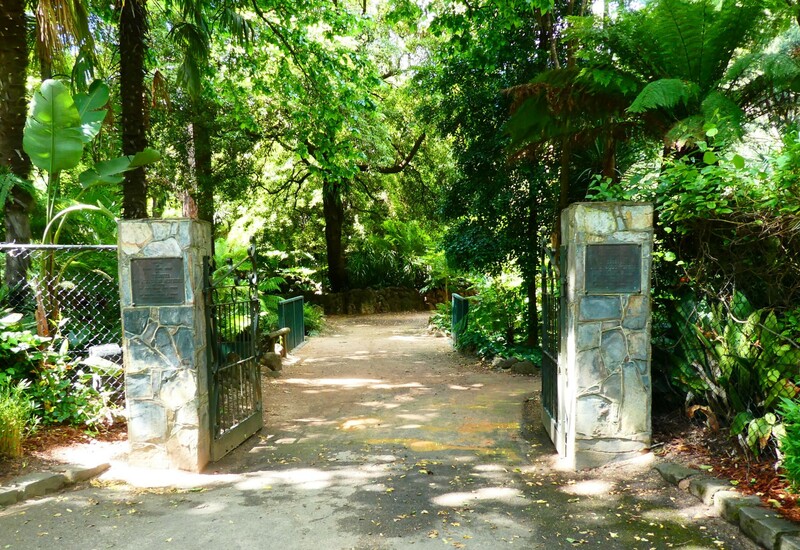 Next time I’ll feature the Golden Dragon Museum, which was opened in 1991 to honour the significance of Chinese people on the goldfields. It deserves a post all of its own. 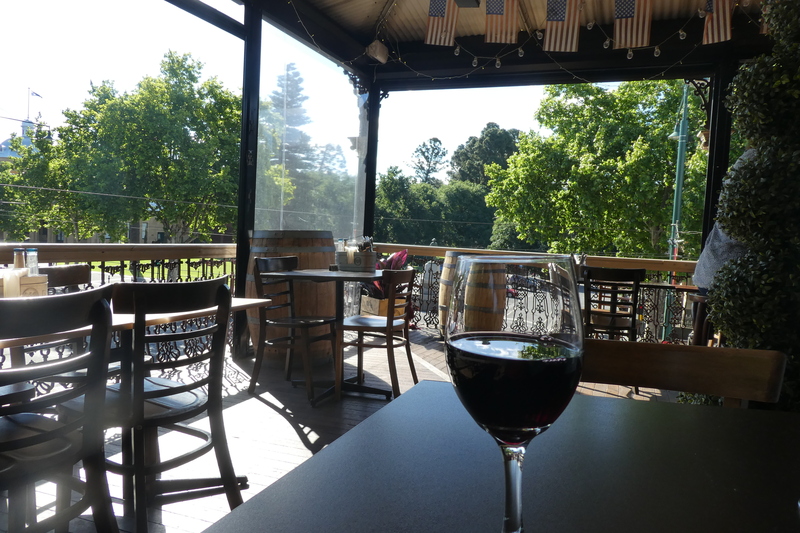 What better way to finish off the day than a glass of red on the balcony of the Shamrock Hotel. 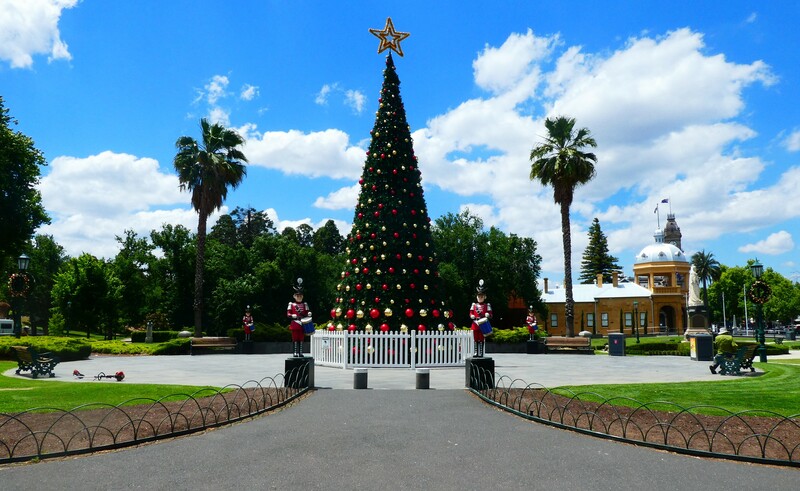 We love Bendigo and have stayed there twice this year on our way to North Eastern Victoria. 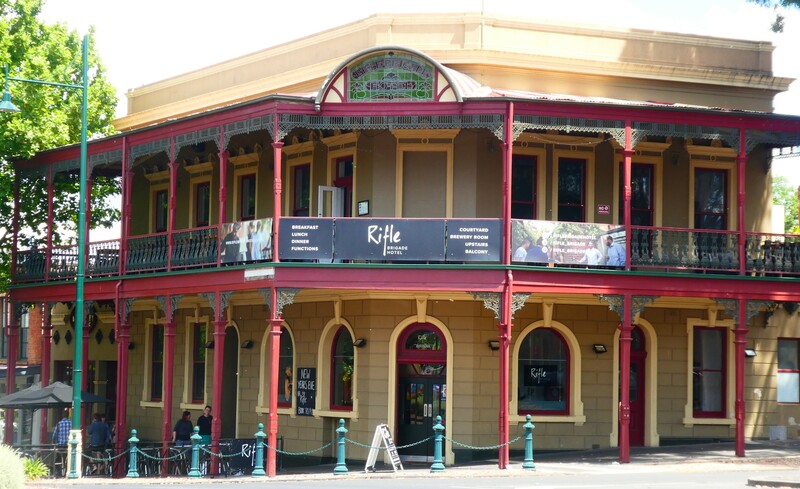 You are right about the pubs – they are spectacular and great value. Thanks, Browney. I didn’t take advantage of the pubs this time, contenting myself with Chinese takeaway but I definitely will when I go back. There’s so much more to see. It’s a lovely city isn’t it. I remember taking the kids to the Chinese museum and on the tram when they were little. A really lovely place, Miriam. The exhibits at the Chinese museum were unbelievable. 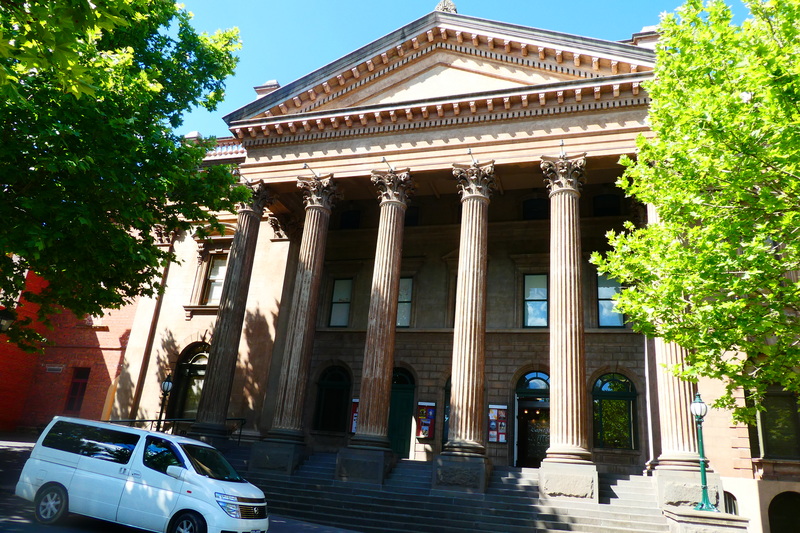 I’ve just discovered I could have done a tour of the gaol and the theatre. Oh well, next time. Yes, it’s not too far away for another visit. Definitely the best way to finish a lovely day! 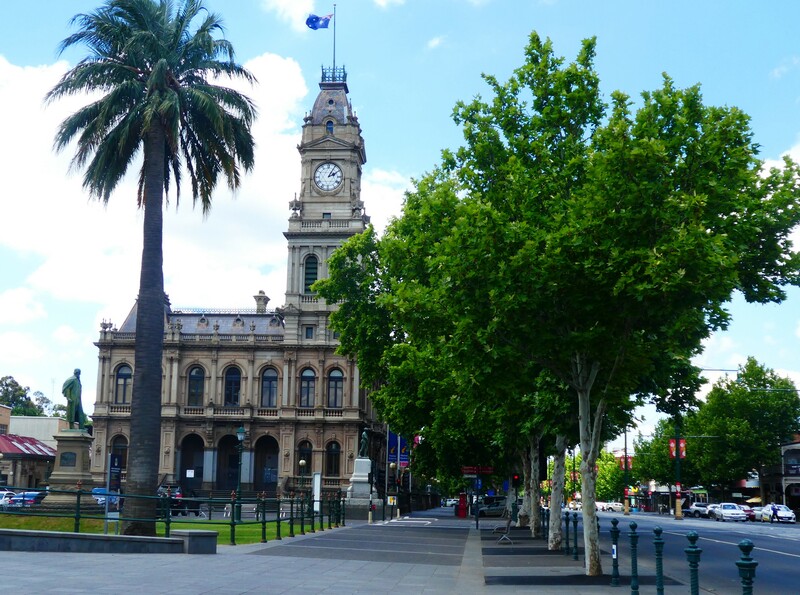 I’ve only breezed through Bendigo on our way to another destination but I will definitely go back to spend more time there. 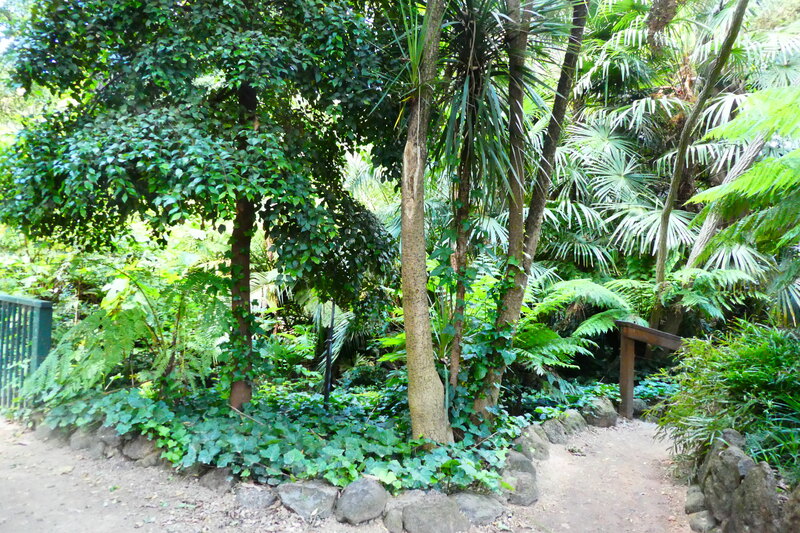 It looks like a great spot to visit on foot too. That’s why I went, Glenys, because I had only breezed through, as well. It’s definitely worth stopping for a couple of days, at least. 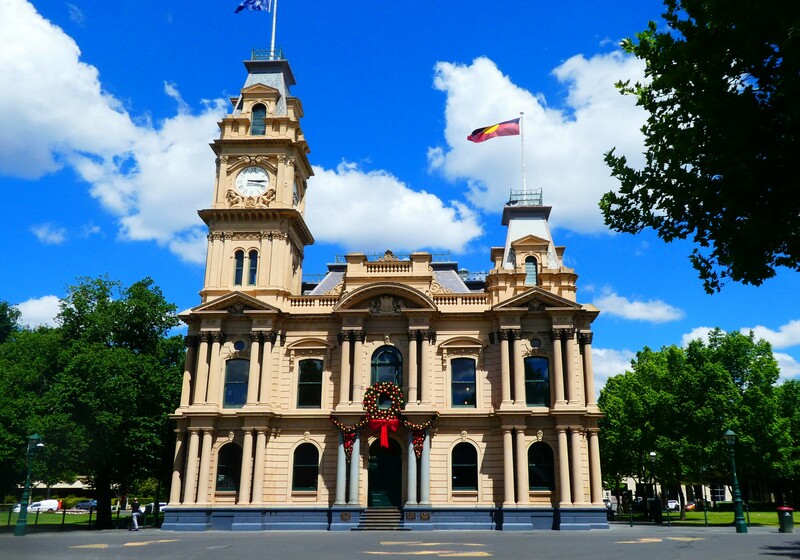 Bendigo looks a lovely place, I like its historic buildings and parks. It was very well to do, Marion, thanks to the gold rush, so they splashed out on their buildings. 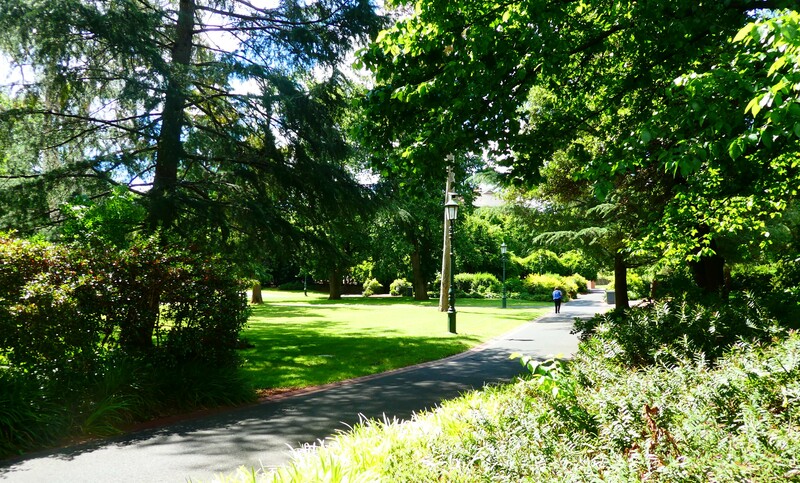 And the park is in the middle, creating a softening effect to the busy town centre. Yes, it’s worth a thought for the future, though I’m sure some of those houses would be out of my league. Cheers. I loved the whole place, Suzanne. 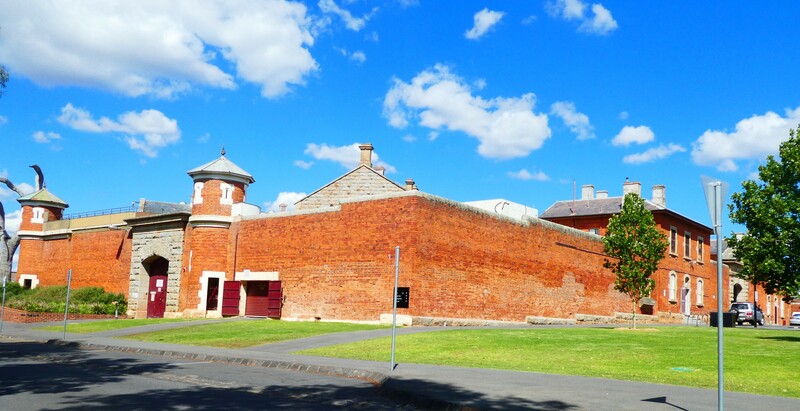 Have to go back, having discovered too late you can do tours of the gaol and the theatre. The giant stupa 20 minutes out of town is pretty amazing. Looks like a lovely spot. 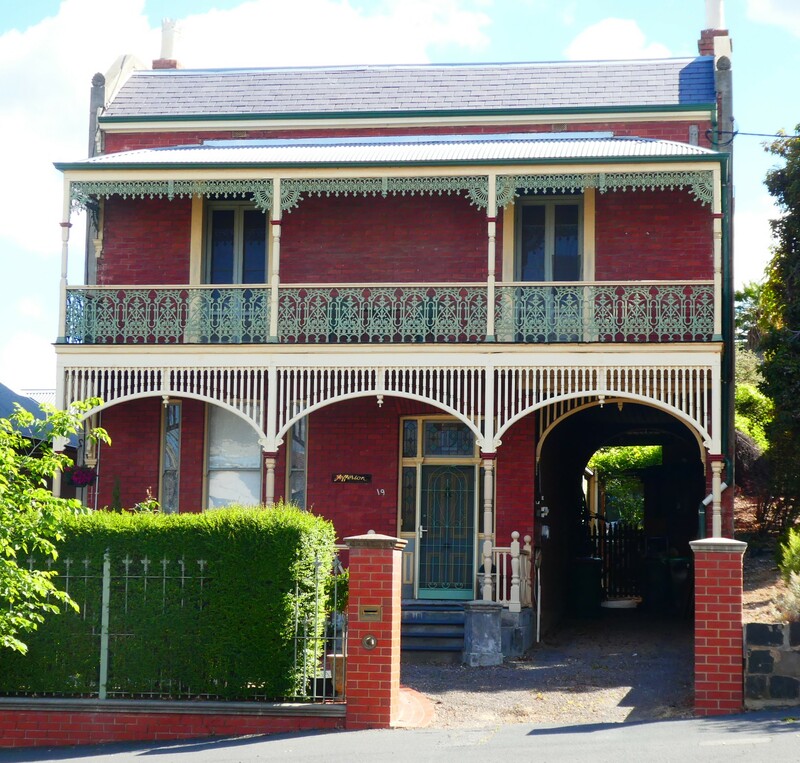 Love all the old Victorian buildings. The town’s full of them, Darlene. Gorgeous. It’s worth it, Pen. Very easy to spend a few days there. I have to go back to see the things I missed. 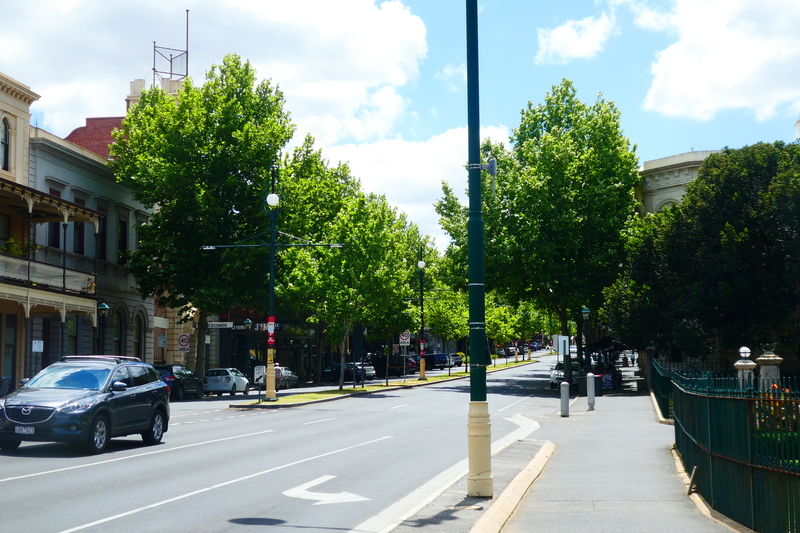 Bendigo is my favourite inland city. 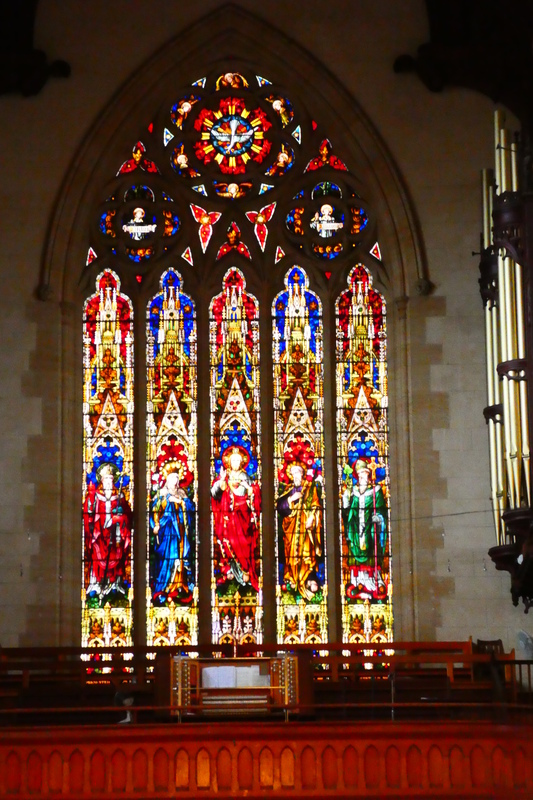 It has a certain sophistication yet makes one feel instantly at home. Yes, that’s the feeling I got while I was there. 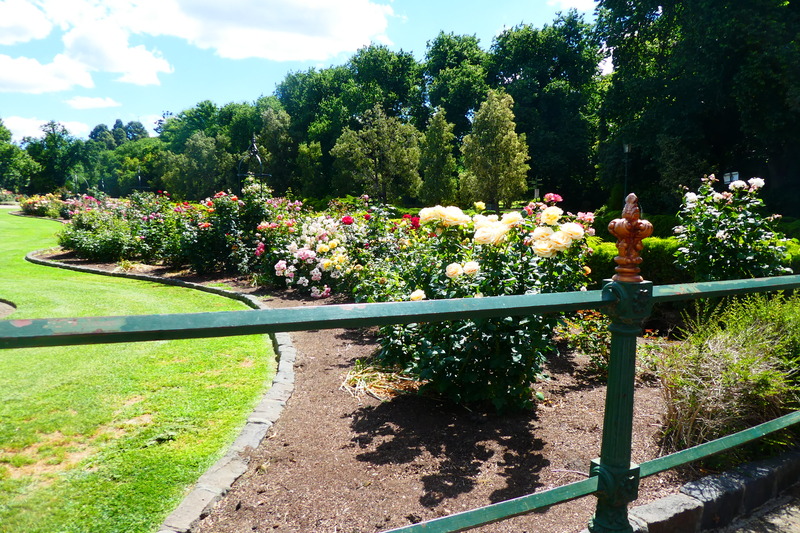 I think the gardens in the centre of town give it a lovely feel and it seems awfully well looked-after. I’ll be back next year to catch something at the theatre. I love the idea of going to a show in a gaol. Cheers. 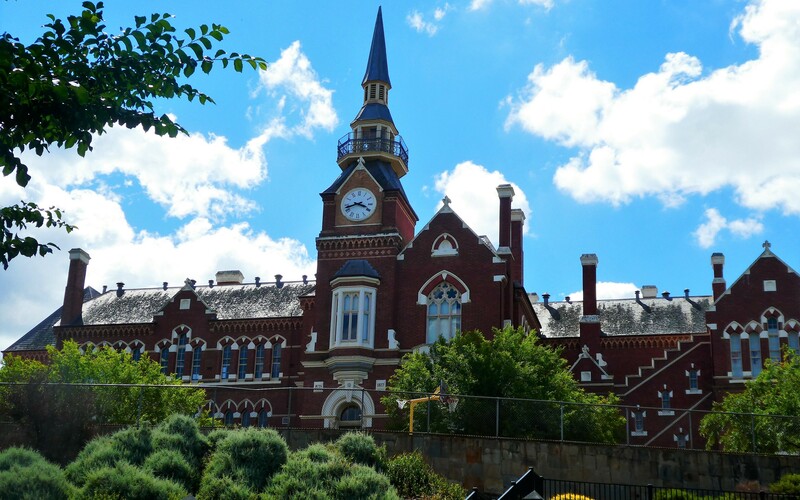 What a wonderful town and collection of buildings — completely off the U.S. tourist radar. 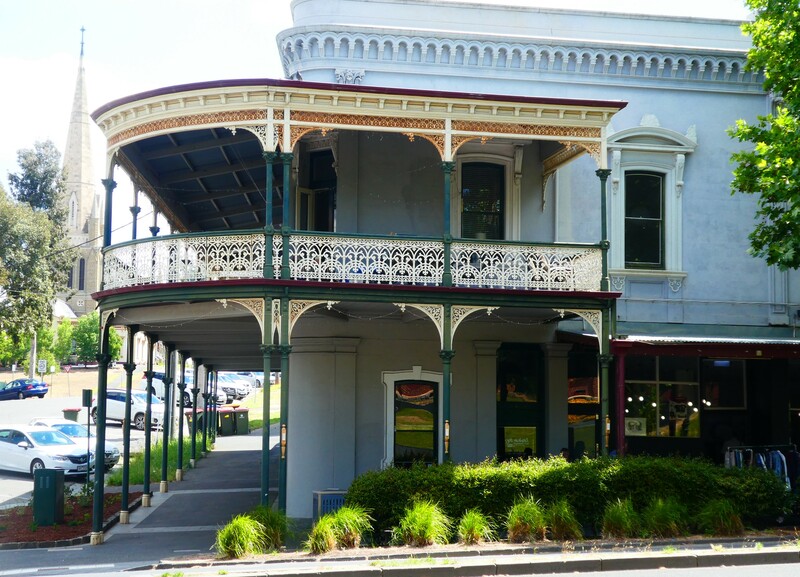 There are some beautiful towns in country Victoria, many of them from the gold rush days but still surviving very well. Cheers. Thanks Rosemary. It’s a nice spot, that’s for sure, and only 2 hours from the city. 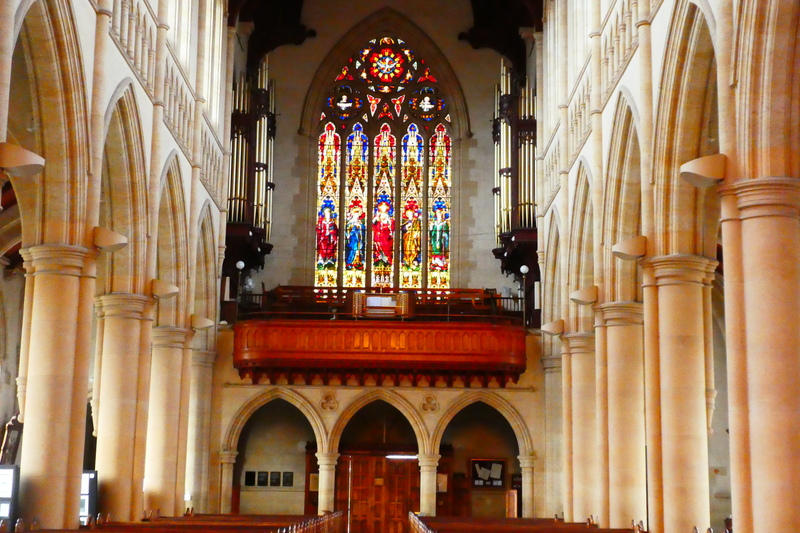 Oh wow, I didn’t realise Bendigo had so much to offer! I should head there next time when in Melbourne. Good idea, Anna. Thanks for reading. 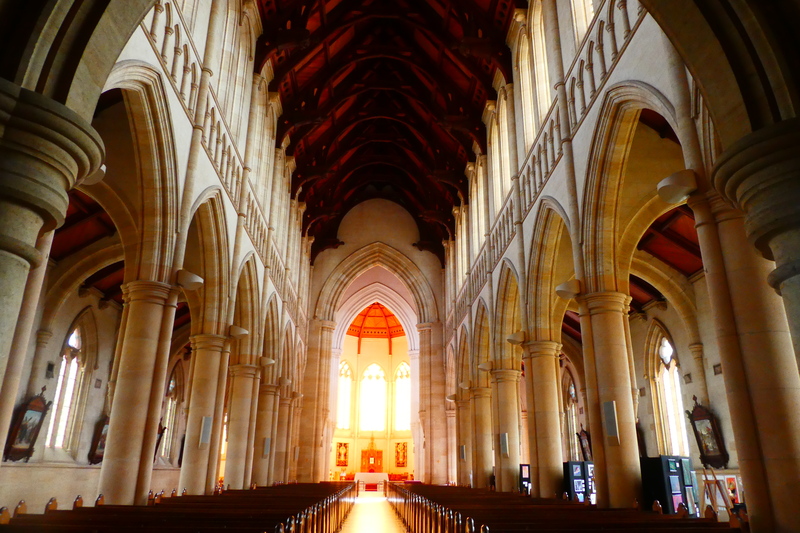 Absolutely beautiful photos and architecture! 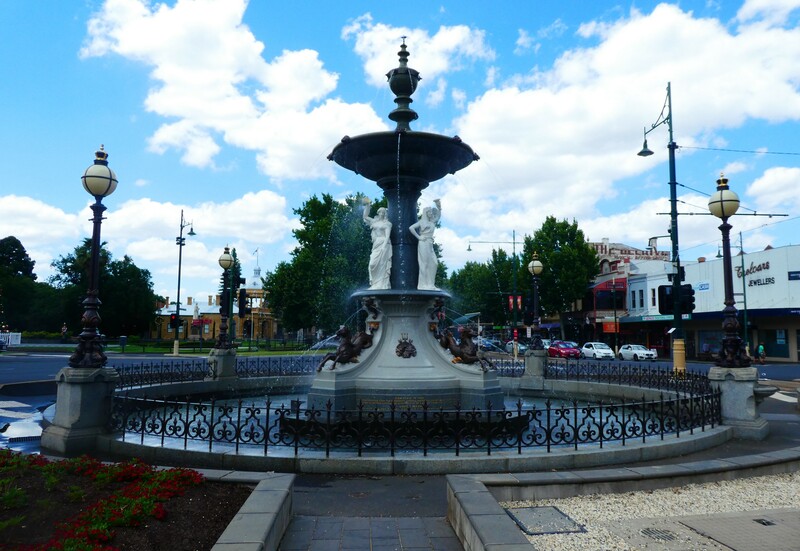 Bendigo looks stately and elegant… you present it very well. 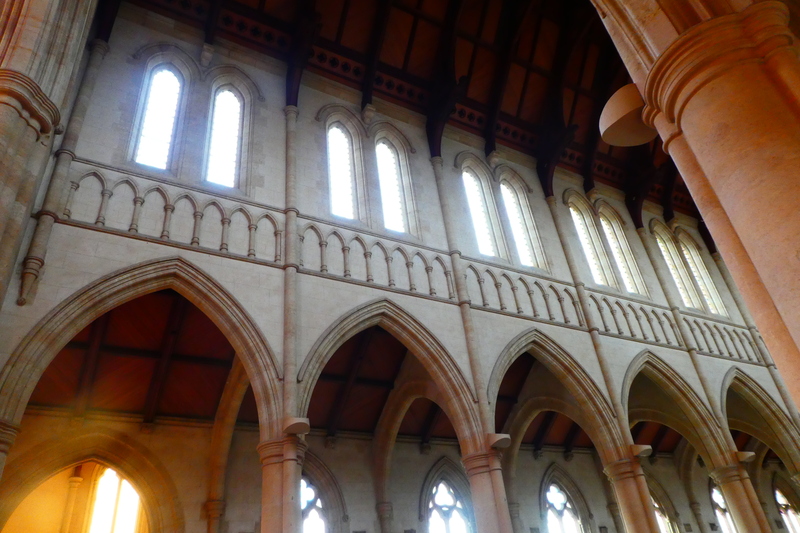 Amazing architecture indeed. I liked the building of the school most of all.